OUTRAGEOUS… cacophonous… majestic… and totally absorbing! Bandleader and Loop Collective saxophonist Tom Challenger brings the natural, live-stage experience of this nine-piece ensemble out from under the spotlights and into our hands. Imagine colourful New Orleans street promenades coalescing with free jazz in an unfettered, contemporary spirit, and that might just begin to identify the simmering-yet-brazen brilliance of Brass Mask. Exuberant 2013 studio debut Spy Boy first revealed the power of this coming-together of mostly London-based talent. Now, Live combines developments of some of those joyous, smile-inducing compositions/arrangements from Challenger with new material; and one look at his experimental personnel hints at the firecrackling show in prospect – George Crowley, Rory Simmons, Alex Bonney, Nathaniel Cross, Theon Cross, Dan Nicholls, John Blease and Jon Scott. Tom Challenger’s inspiration for this project stems from various online bootlegs which feature, for example, the raw energy of John Coltrane, Mardi Gras Indians and Haitian Rara bands. But this is a live album with an edge, as he and Alex Bonney sensitively link and support the recorded gig (from the capital’s Servant Jazz Quarters) with imaginatively-crafted electronics, as well as ‘field recordings’ of “mangled YouTube and iPhone samples of found sound”. And it’s a blast! The bleating, effected horns of Francilia herald Shallow Water – a slow, stirring, processional funeral march which trudges to wailing tenors and trumpets (quite different from the dance-groove original); Lil’ Liza Jane‘s infectious, shuffling trad playfulness echoes to almost sneery horn riffs amidst the most vociferous tuba, organ and percussion; and trancelike The Bague is just as cunningly shambolic. Held-back gospel tune Indian Red feels made for such a live setting, preening itself with hard-blown brass before breaking into swingin’ double-time abandon, whilst the grungy, rasping blues of I Thank You Jesus, underpinned by Nicholls’ sustained, palpitating keys and Theon Cross’s wildly whooping tuba, demands to be heard over and over. Nyodi‘s oscillating canvas invites a delightfully unexpected Joe Zawinul-type tuba groove (à la River People), complemented by Wayne Shorter-style tenor tumblings and, appropriately, sustained, Weather Reportian chord clusters. Rapid, madcap capers in The Merman suggest Madness on acid; and the glorious, reedy, push-pull riff of Francis P (all ten minutes or more of it, compared to the original of less than three) enjoys a frenetic phantasmagoria of organ/keys, jousting trumpets, flailing tuba and the oxymoron of an ascending electronic wind-down. A splendid, visceral hullabaloo. Turn up the volume and immerse yourself in it. Released on 21 April 2017, Brass Mask’s Live is available as CD or digital album from Bandcamp. PERHAPS it’s due to the powerful, enigmatic mystery of music that it sometimes only unlocks its bejewelled treasures to listeners when they’re good and ready. 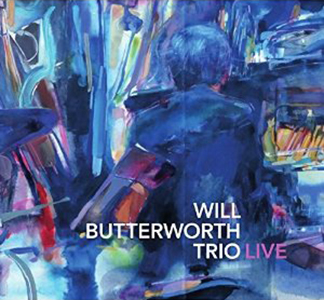 Pianist Will Butterworth’s live trio album, recorded at London’s Pizza Express Jazz Club, has been drifting in and out of my consciousness for some time now – but only recently has it flowered into the lively/balmy wonder that it undoubtedly is. Butterworth is joined by the familiar names of bassist Henrik Jensen and drummer Pete Ibbetson in five expansive numbers which clearly require the space and focus to fully appreciate their various perambulations and nuances. Hailing from Edinburgh – born into a classical music environment – and resident in London for the past decade, Will Butterworth is known for his work with drummer Dylan Howe in reinterpreting Stravinsky, as well as his sideman role on the British jazz scene. 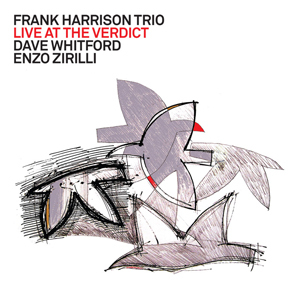 He reflects on the interesting way in which this particular gig unfolded as, in the true spirit of improvisation, most of the trio’s playing was totally unlike their rehearsal: “When we finished… we had no idea what had happened… it was so different to our expectations. We try to get away from the individual solo with a backing track. So I guess… unexpected stuff will happen.” Certainly the resulting live capture (with the occasional clinking wine glass) reveals a fertile air of malleability and equality, rather than a bland, pre-meditated piano showcase with rhythmic accompaniment. Butterworth’s own The One opens the set in restless, almost Bachian tones, as the pianist pushes spry singular lines and bold chordal colour – and, as it builds, already the combined strength of all three musicians is evident, with Ibbetson’s drums and percussion satisfyingly prominent in the mix and Jensen’s resonant, fluid bass in meaningful dialogue with the piano. 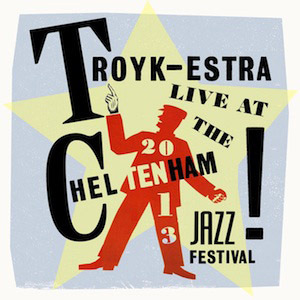 Will’s style is difficult to pin down, somewhere between Bill Evans and John Law, and his own brightly-swinging Blues (at ten minutes’ duration) also evokes the spirit of Ellington, Monk and Tyner – his varietal cadences ripple with that kind of bravura and invention, happily matched by bass and drums. In this trio’s hands, Sammy Cahn and Jule Styne standard I Fall In Love Too Easily finds that beauteous sweet spot of elegance balanced with unexpected, subtly-jarring pianistic intervals and clusters; it’s as if the “no idea what happened” that Butterworth referred to is at work in this triangle, providing an edge which takes it far from any sense of the soporific (and his solo coda briefly reveals Rachmaninov-like romanticism). The Syndicate (another Butterworth original) becomes a jaunty conversation between the three instrumentalists, the space left between just as important as the elaborate, teasing extemporisations. Here, Jensen and Ibbetson instigate the anarchic momentum, and Butterworth relishes the opportunity to dart in and out as the breathless, pacey intensity becomes extraordinarily compelling (maybe all cutlery activity was involuntarily suspended at this point!). Finally, an interpretation of Willard Robison’s ballad Old Folks, its initial tenderness eventually breaking into brisk walking pace, with Butterworth’s luminescent soloing sounding Brubeckian at times – and Jensen and Ibbetson crackle in a momentary duet. At almost fifteen minutes in length, it feels like time suspended. This is a piano trio album which is totally accessible, yet continually and politely fizzes with interest. The recorded sound is close and direct, yet benefits from ‘at the gig’ reality, engendering that exciting sense of jazz ‘in the moment’. 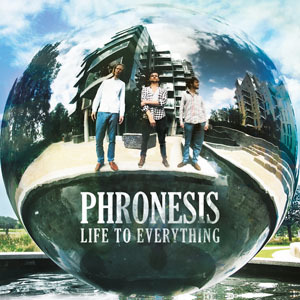 Released on 16 March 2015, the album is available from Music Chamber Records (take a listen to the audio samples there), iTunes and Amazon.